Start off your Thanksgiving holiday right with some fun and free Thanksgiving games to keep the guests entertained. These are easy little activities that help remind everyone of the point of the Thanksgiving holiday while keeping everyone involved: Thanksgiving Scavenger Hunt - The Giving Thanks Game. This is a fun activity that also helps to remind the family what the point of Thanksgiving really is all about. Then The person to your right has to finish the sentence with the reason why they are thankful for Hotdogs! When they've completed the sentence they get to begin a new one. The new sentence is the wildest subject they can think of to be thankful for. This can be anything: bike, feet, or even sneezes. Try and keep the circle going as long as you can. On this webpage you can print out pictures of Pilgrims, Turkeys, Family Gatherings, Harvest Cornucopia, Religious and Cultural Quotes for your greeting cards and bulletin boards display. 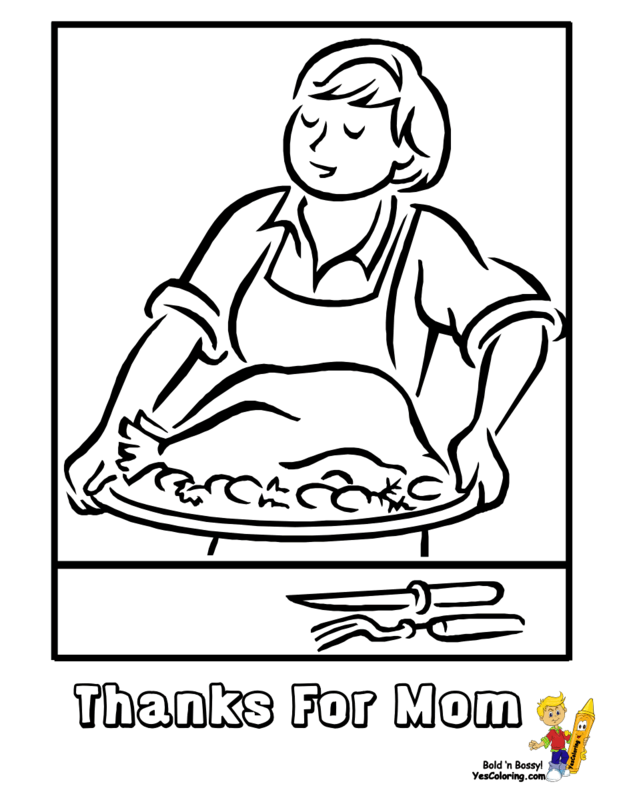 Printable of Roasted Turkey for Family Meal. Yummy! Throw a Holiday coloring party! Then, hang or tape your best printables into picture frames for the party room or on the dining room wall! 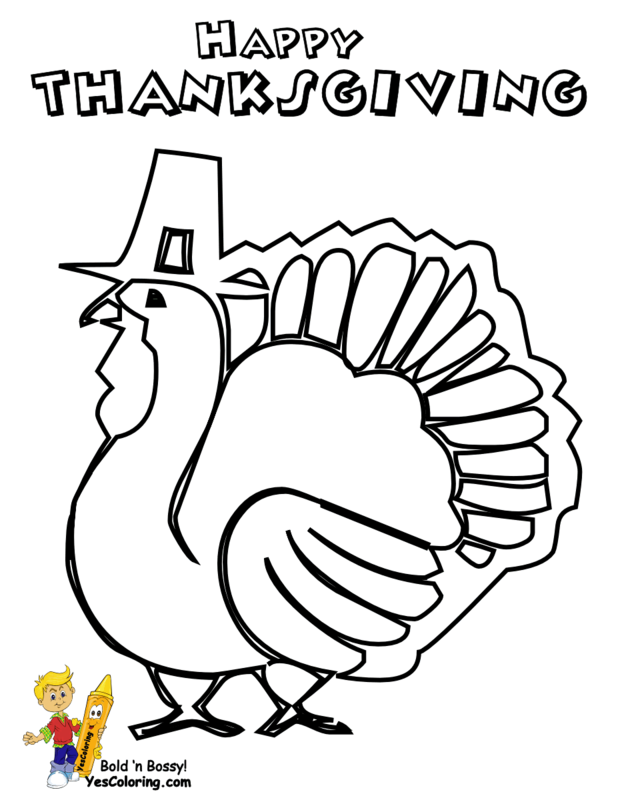 "Bountiful Thanksgiving Day Coloring at YesColoring"
Free Printable of Thanksgiving Adage: "We Give Thanks To You O Lord"
Coloring Pages Kids Blog - 4YoEyeballs2C! Happy Holiday Letters, Numbers, 'N Exclamation Marks For Your Projects!